Fill out the highlighted fields as shown below with your credentials. Even if they look like a dropdown, you can type tekst. 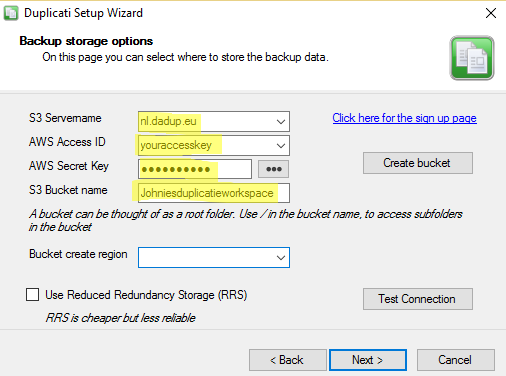 Fill out a unique bucketname and click on "Create bucket" or use one you created earlier.